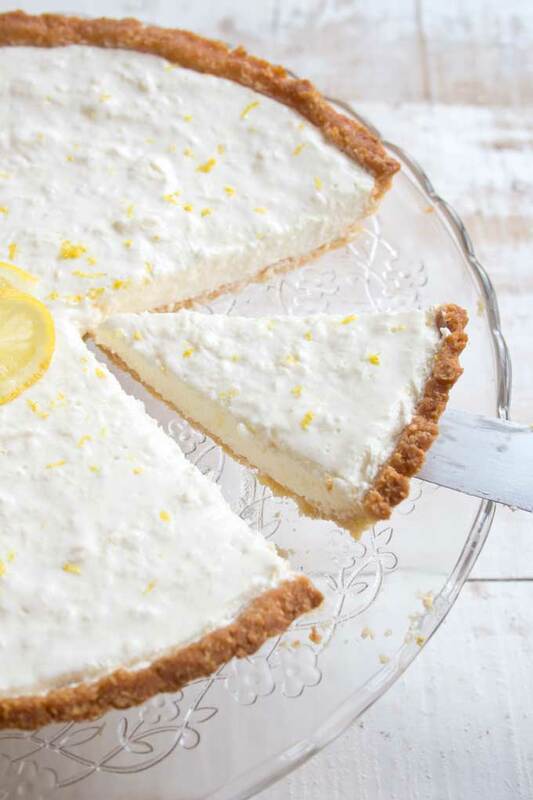 Zingy and refreshing, this lemon low carb cheesecake is a heavenly creamy highlight to any meal. Your family will never guess it’s sugar free! 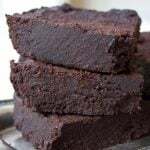 Keto, gluten free and diabetic-friendly. I adore cheesecake. It’s easy to make, looks impressive and cleanses your palate after a meal. 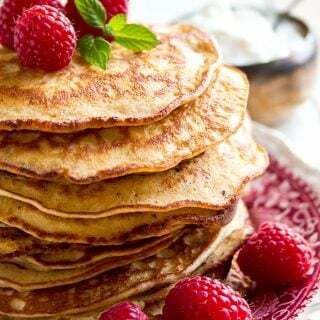 And with a few simple tweaks, it can be sugar free and low carb! Basically, you can make cheesecake so healthy you could eat it for breakfast (which I do whenever there’s one in the house)! Cheesecake comes in many wonderful varieties, from chocolatey to fruity. But I’ve got to say, this low carb lemon cheesecake is my new favourite. 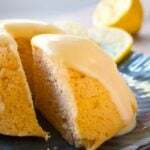 The lemon juice and zest lend freshness to the velvety-rich yet curiously light filling and make the cake taste dreamy-creamy yet cleansing at the same time. This cake does not feel like the end of a meal. It feels like a new beginning! Absolutely! It’s so easy to make low carb cheesecake. The main ingredient is normally cream cheese and cream such as double / heavy cream or sour cream. Both are perfectly Keto already. All you need to do is to replace the sugar in the filling with a natural sugar alternative such as erythritol, stevia or other popular sugar alternative such as Splenda. 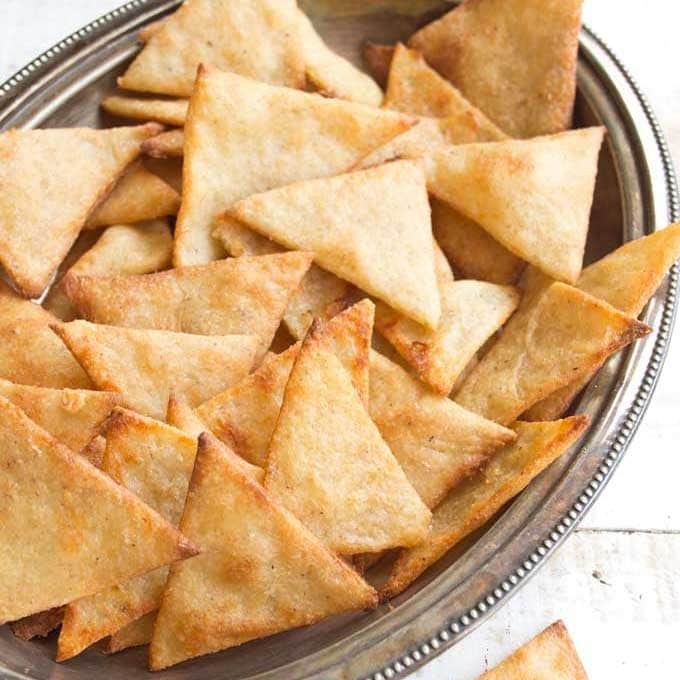 For the crust, you simply use a grain free flour. Regular cheesecakes often have a crust made with Graham crackers or other sugary biscuits. Apart from the sugar, these contain wheat, which out bodies convert into glucose (=sugar). By replacing this carb-heavy option with almond flour or coconut, your crust becomes nutrient dense and Keto. Many low carb cheesecake recipes have a no bake crust which can become somewhat soggy. For this lemon cheesecake I have opted for a baked crust because I wanted the result to be crispy and light. The cheesecake filling does not need to be baked and is set with gelatine. Friends, this recipe is the best of both worlds. I’m sure you’ll love it! 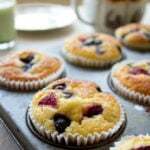 First, you mix the ingredients for the crust in a blender – almond flour, desiccated coconut and 1 egg. Press the dough into a tart or pie dish you’ve greased on the sides and lined with baking paper on the bottom. If you feel adventurous, you could add teaspoon of ground ginger to the mix – ginger and lemon are flavour buddies. I personally do not think the crust needs additional sweetener as the coconut has some natural sweetness to it. However, we’re all different and you know yourself best. Do add a teaspoon of granulated or powdered erythritol if you feel it would work better for you. If you have beans for blind baking, throw them on top of the crust before you put it in the oven. They prevent the bottom of the tart from rising up. Another trick to prevent the crust base to bubble up is to get yourself a fork and poke holes in the unbaked crust. After you bake your crust for about 20 minutes it will look like in the image above! The filling is a zingy lemony wonder that holds together with the help of gelatine. No need for any more baking – all it needs is some cooling time in the fridge! Pour into the cooled tart base and refrigerate until set. Top Tips: Let the gelatine cool down a bit before you mix it into the cream cheese/sour cream. If the temperature difference is too great it might end up lumpy. Don’t omit the lemon zest – it really makes the recipe. And as with the crust, adjust your sweetener to taste. 3.) Skip the baking and make a no bake crust. Use the same amounts of almond flour and coconut, but replace the egg with 1/4 cup of coconut oil. For this, use a springform (line it with baking paper) and spread the crust mix only on the bottom and not the sides. 4.) Make individual mini low carb cheesecakes in a muffin tin. To release those out of the tin with ease, use paper cups or freeze them for a couple of hours so they are nice and firm and pop out of the tin without you denting them. 5.) If you don’t like the idea of gelatine, you can use very well-whipped double / heavy cream or whipped coconut cream (use only the firm parts from your can of coconut milk) instead of the sour cream. They will set without gelatine. 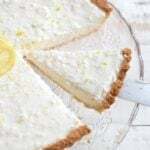 Zingy and refreshing, this lemon low carb cheesecake is a heavenly creamy highlight to any meal. Your family will never guess it's sugar free! 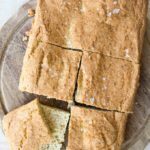 Keto, gluten free and diabetic-friendly. Preheat your oven to 180 Celsius / 356 Fahrenheit. Line the bottom of a tart/pie dish with baking paper and grease the sides. 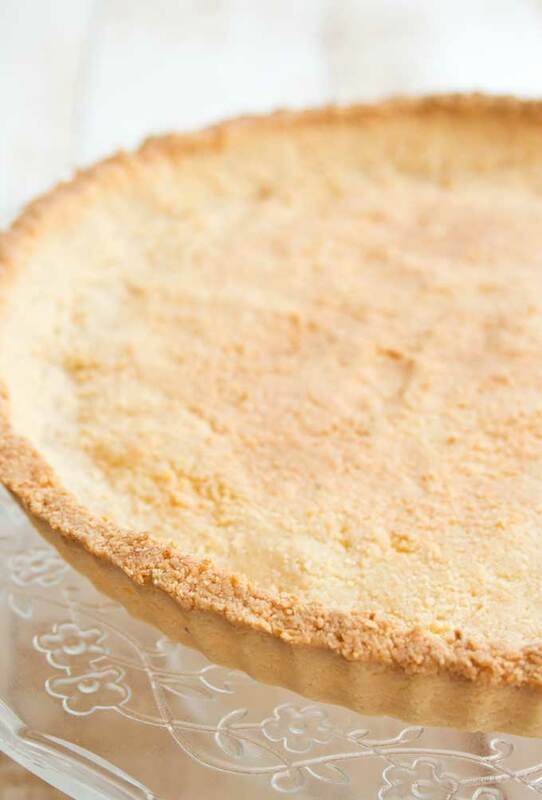 In a blender or with a hand mixer (use a tall jug), blend the ingredients for the tart base until they resemble sticky crumbles and the coconut is starting to release its oils. 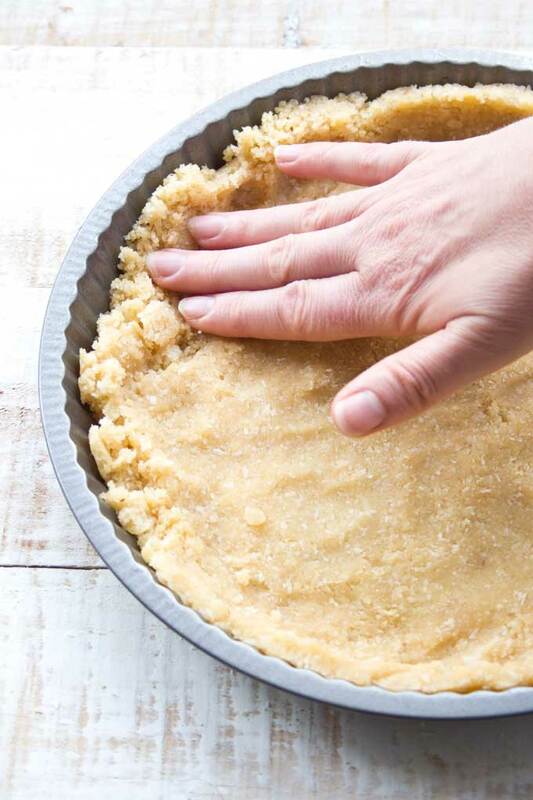 Press the dough into a tart or pie dish with your fingers. My dish measured 22 cm at the bottom and 26 cm at the top. Bake for around 20 minutes until the tart crust is lightly browned. Remove from the oven and let it cool down. Then remove tart base from the pan. 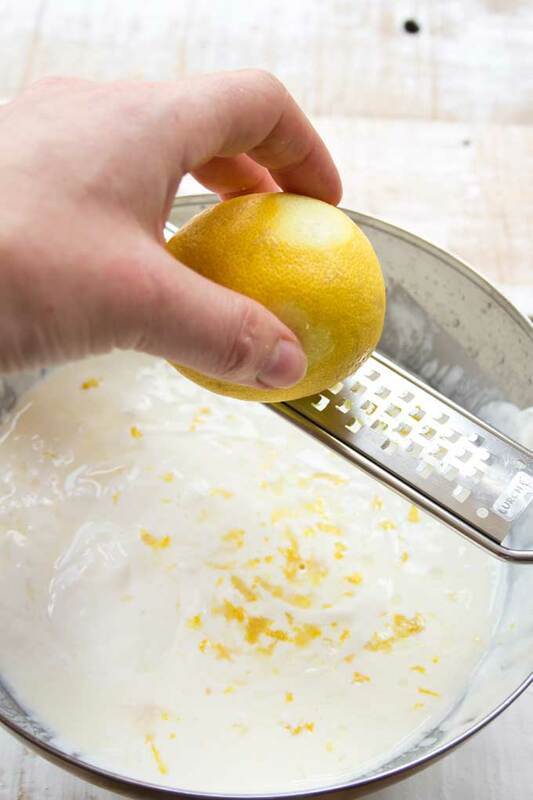 Mix the cream cheese, sour cream, sweetener, lemon juice and zest in a bowl until smooth. Dissolve your gelatine according to your manufacturer's instructions (I dissolved mine in a few tablespoons of hot water) and add to the filling mix. Blend and fill into the tart base. Cool the tart in the fridge until set, a minimum of 2 hours or overnight. Decorate with more lemon zest or to your liking. I calculated the nutrition on the basis of 12 generous slices. The tart can yield 16 slices which would still be a good dessert portion. If you wish, you could top the tart with a layer of whipped cream or whipped coconut cream. I used a tart pan with a removable bottom. This way it's really simple to get your tart base out. Want to know which equipment I cannot live without? Read this post about all my top 10 low carb kitchen gadgets! I made this yesterday. 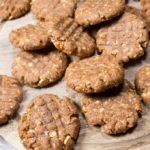 It is truly the first low carb recipe that is worth making. I did use Jello brand no sugar lemon Jello. I mixed it with 1 cup boiling water, stirred it and let the temp come down before making the rest. I did add lemon juice too. I made the no bake crust. It was AWESOME! I m thinking of other Jello no sugar flavors to use now. Thank you for the great recipe. Melissa, I’m so glad the recipe worked out well! Thank you for taking the time to comment. Hi, can I use agar agar instead of the gelatine? How much would I use please? Hi Angela, I haven’t tried using agar agar myself, so unfortunately I cannot help here. I have heard though that it can be used as a substitute for gelatine. Why does the almond flour link to the Amazon USA site that does not ship to the UK. What is recommended to buy here in the UK. Hi Keith, I normally use plain ground almonds for my recipes, which I buy from Waitrose or Sainsburys. My son made this for my birthday while I ‘advised’. Tasting the filling, we ended up using close to 1/3 cup of 1:1 sweetener (Swerve). The crust is so good that I used it again yesterday in another recipe instead of the crust the recipe called for. My Blendtec doesn’t like it and had a hard time blending it so next time I will try my magic bullet. So creamy and lemony-I was in heaven eating this! I made some sf whipped cream for the table to put on top of slices and really enjoyed that. 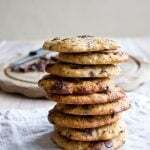 Thank you-this recipe is exactly what I was hoping for and then some! Btw, son is 25, I only advised on sweetness and how to press the crust in. Wonderful! And happy birthday to you!! Hi, Do you reckon I could use a packet of sugar free jelly mix dissolved in a small amount of warm water in place of plain gelatine? Do you reckon it’d work? Also, being in the UK, I only ever see cream cheese like philadelphia or supermarket own brand soft cheese… will this work for no bake? In the usa they have philly in a block which is for baking but i haven’t seen it here. Hi Lucy, I think the sugar free jelly mix should work, it’s gelatine with a bit of taste added, isn’t it? I always use the own brand full fat cream cheese from either Waitrose or Sainsburys. I find they are firmer than Philadelphia and work better for cheesecakes. Thank you so much for your reply! Much appreciated! Fantastica tu receta!Thank you,gracias,from Buenos Aires! Can’t wait to try all three recipes in today’s post. Yum! Perfect timing so I can experiment before my sister comes to visit. I only had limes in the house so used them instead. Wow. 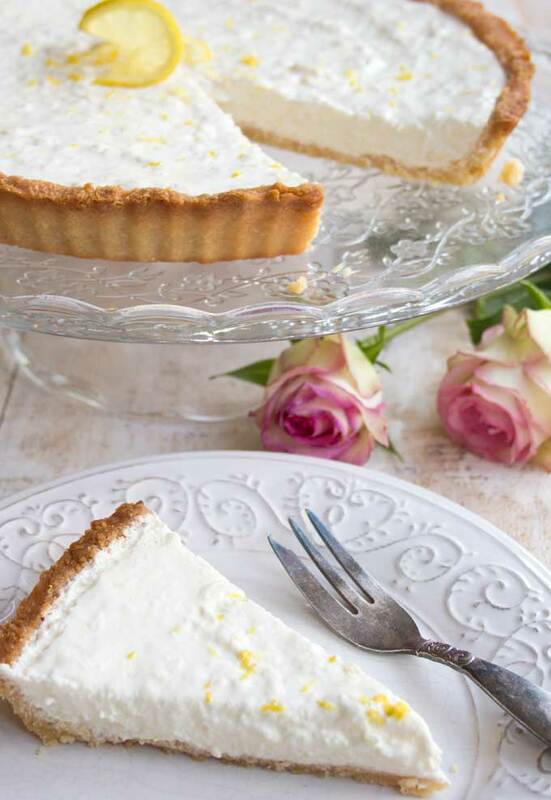 Loved the tart base (I added a tsp of monkfruit) – so delicious! The crust is one of my favourites, actually. 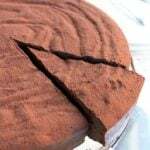 I use it in this chocolate tart recipe as well. Hi Sheila, I’m so glad you all liked it! 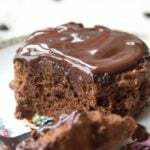 Do you offer dairy free cheesecake recipes? I like the no or low sugar options, so thanks for that. But i have both celiac disease and lactose intolerant so it’s a challenge for me. Hi Sandra, I haven’t tried making a dairy free cheesecake, but it’s a great idea. I guess I’d replace the sour cream with coconut cream or even better coconut yoghurt – there’s a brand called coyo here in the UK which is delicious – and use some soaked cashews as well in place of the cream cheese. I’d change the quantities – maybe 3/4 coconut and 1/4 cashew. 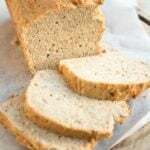 You could even use a flax egg (a couple of tbsp flax meal and water) in place of the egg in the crust to make it vegan.